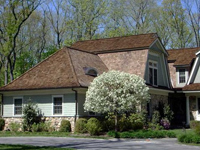 • Wood roofing: Certified by the Cedar Shake and Shingle Bureau and by GAF as master installers Line Home Construction provides outstanding service in installing your choice of wood shingle roof. These are all distinct and great ways to improve your house. • Wood Siding is the number 1 Hamptons style pick. There are various types. 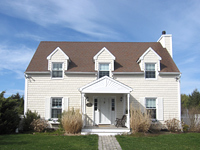 •	Dipped colored shingles – Cedar shingles that are color treated to give your home that special look. 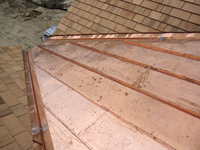 The shingles are treated inside and out making it impossible for moisture to penetrate. • Hardy Siding: Made from composite material, made to last. • Vinyl Siding: Durable plastic cladding used for decoration and weather proofing your home. Also made to last with less maintenance involved. 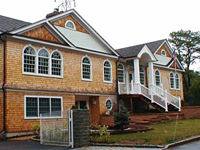 • Cedar Impressions Vinyl Siding: Plastic cladding made to look like stained wood shingles. Now in several colors and variations. Our carperntry work comes with a 10 year Guarantee. please contact us or call the office at 631-287-5042.